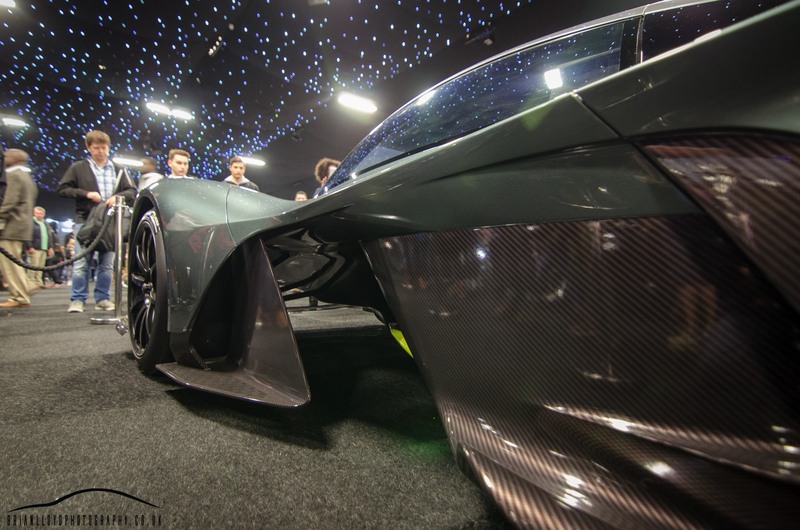 2017 saw the second year for the confused.com London Motor Show at Battersea Evolution in the heart of London.. unfortunately I wasn't able to attend last year so this show was a new one for me.. Technical difficulties with the event organisers website meant a delay in media passes being confirmed so mine only came through a few days before the actual event. Not a huge problem but meant I could only attend the public days and could not get to the press day on Thursday 4th May.. Excited to see what the show was all about and just happy to see a "motor show" back in London I headed down on the first train out of Macclesfield on Saturday morning. Things took a turn for the worse when I arrived at the station and my train was cancelled.. Quickly boarded a replacement one and set about waiting and waiting... and waiting... until the train manager announced there was a trespasser on the line and we wouldn't be going anywhere soon! 90 minute delay later and off we went. Arrived at Battersea about an hour after the show opened and the queues were huge! Stretching almost out of the park when I arrived. Thankfully I didn't have to wait in this queue and off I went to find the media accreditation tent. So finally I was inside the show and my first impression was... this is BUSY!!!! The entrance hall was dominated by the new London Taxi stand and the sad end of an era story of the outgoing London cab, hard to miss the amazing looking Vengeance in the entrance hall as well.. then in to Hall 1 where we found the main exhibitors and the mayhem of like minded petrolheads. Now this is were things took a turn for the worse (for me as a photographer anyway) as I entered the main hall every car was on ground level for people to interact with and get close to which was a nightmare for us photographers. Great for people to experience the cars and see them up close but for me this was not what I was expecting.. 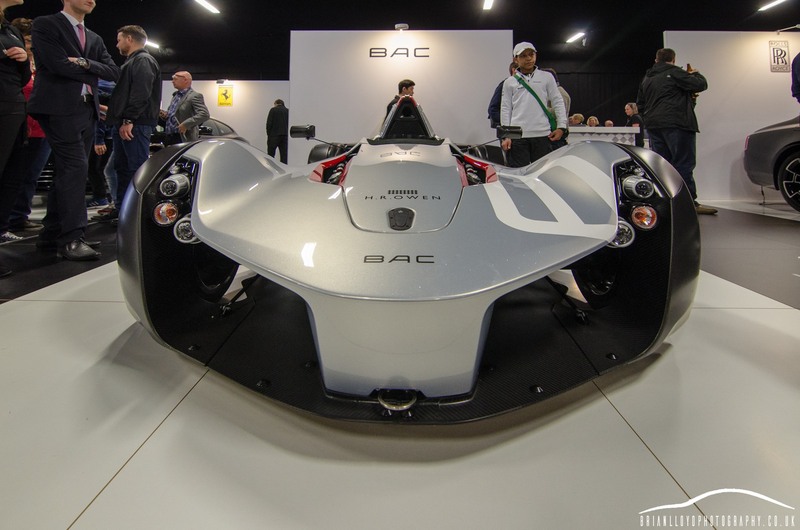 Things went from bad to worse for me when I made my way through to Hall 2 and the excellent H.R Owen stand that had some amazing metal like the brand new Lamborghini Aventador S, BAC Mono, Ferrari GTC4 Lusso, Bentley Bentayga and more. Although the cars on display were fantastic it just seemed too packed in and crowded for my liking and again getting any decent shots was very difficult. 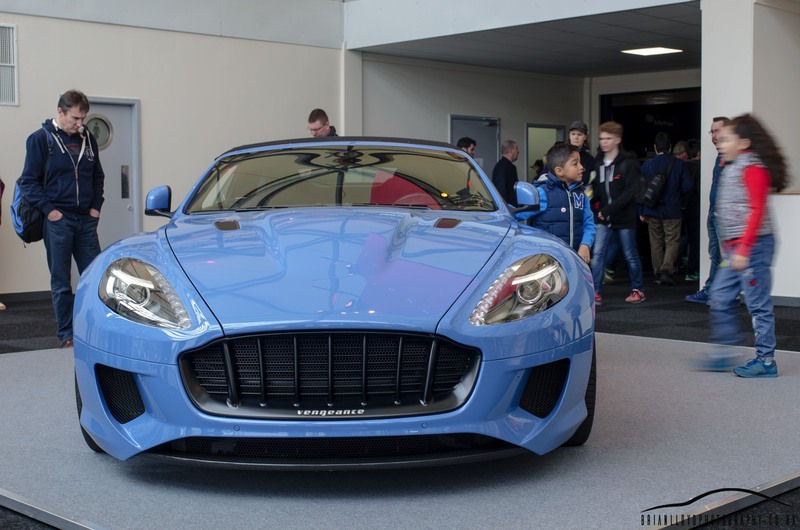 The David Brown stand was next, two incredibly beautiful cars on display there but again difficult to get any clean nice shots of the cars with the crowds around. Alfa Romeo showed a beautiful Giulia Quadrofolio and their new Stelvio SUV along with some nice machines from Alpina and an incredible creation from the guys at Liberty Walk with their take on the McLaren 650S. 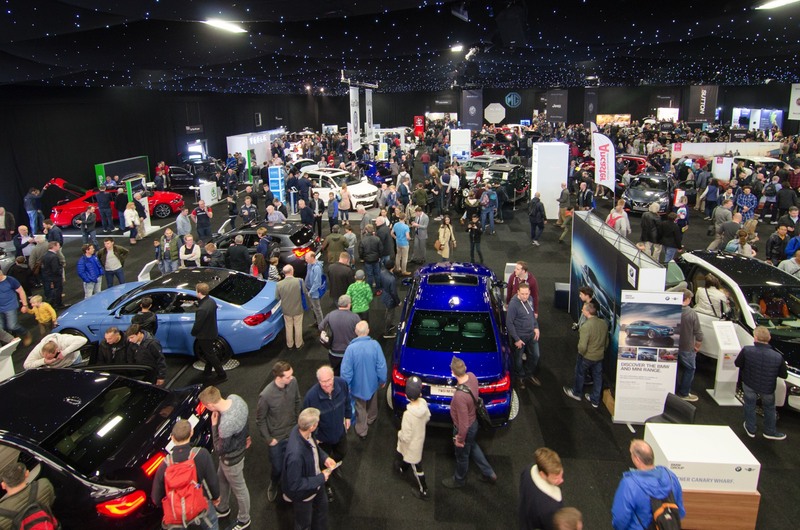 Yiannimize's stand was busy all day long with people trying to get a glimpse of the YouTube star and the lecture theatre was packed to the rafters for Jodie Kidd's interview with Tiff Needel. So after some delicious beef brisket and peri peri fries it was time to head out for me, leaving with mixed thoughts about the event..